We all go through tough seasons sometimes. The question is: How will they impact your faith? Will they cause you to doubt, question or stumble? Will you become angry or bitter? Will you walk away from the faith? Or will you use life's tough seasons to help you draw near to God, resting on His promises and receiving the strength and grace you need from Him? 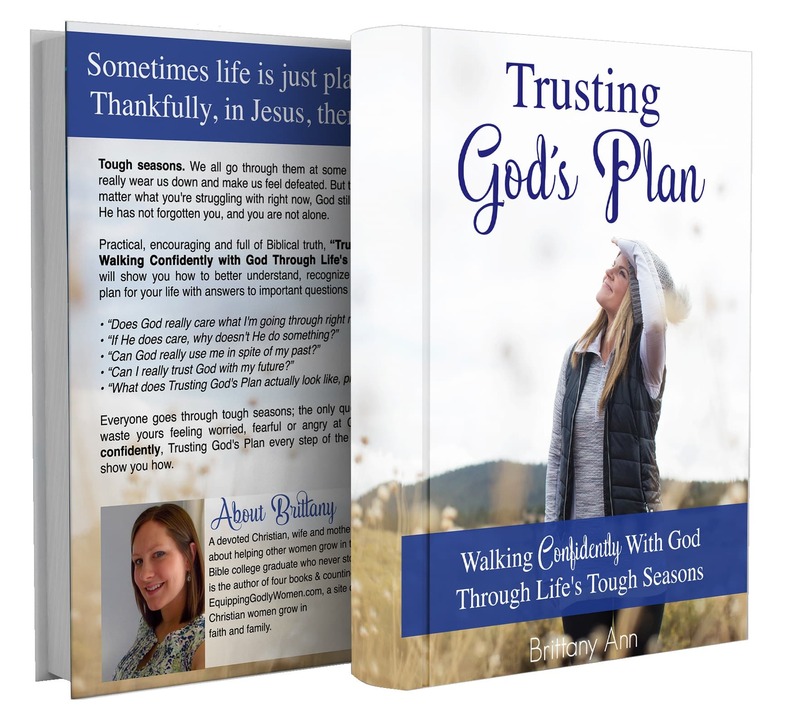 "Trusting God's Plan: Walking Confidently with God Through Life's Tough Seasons" is a book written for women who are going through a tough season right now. For women who believe in God, but who don't always know what He's up to. For women who want a strong, confident faith, but who sometimes struggle with worry, fear or uncertainty. 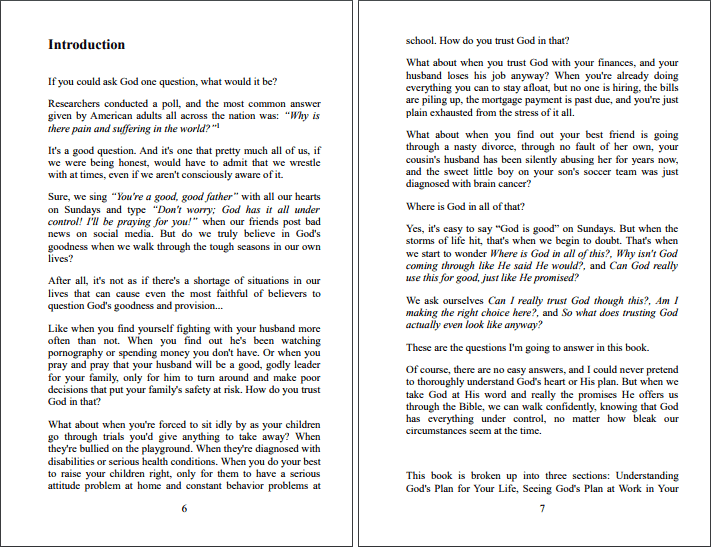 Practical, encouraging and full of Biblical truth, "Trusting God's Plan" will help you understand God's plan for your life, recognize God at work in your life, and learn how to live out God's plan, practically speaking. This is not just another fluffy, "feel good" book with no real content. "Trusting God's Plan" is bursting with timeless Biblical truth and encouragement, as well as tons of practical action steps you can take - starting today! - to strengthen your faith, conquer your fear, and trust in God's plan no matter what life throws your way. But why would you want to?? "Trusting God's Plan: Walking Confidently with God Through Life's Tough Seasons" will show you how you can: claim God's promises over your life, get rid of fear, and start walking confidently in faith once again.